Adapted from the acclaimed bestseller by Jonathan Safran Foer, Extremely Loud & Incredibly Close is a story that unfolds from inside the young mind of Oskar Schell, an inventive eleven year-old New Yorker whose discovery of a key in his deceased father's belongings sets him off on an urgent search across the city for the lock it will open. A year after his father died in the World Trade Center on what Oskar calls The Worst Day, he is determined to keep his vital connection to the man who playfully cajoled him into confronting his wildest fears. Now, as Oskar crosses the five New York boroughs in quest of the missing lock - encountering an eclectic assortment of people who are each survivors in their own way - he begins to uncover unseen links to the father he misses, to the mother who seems so far away from him and to the whole noisy, dangerous, discombobulating world around him. 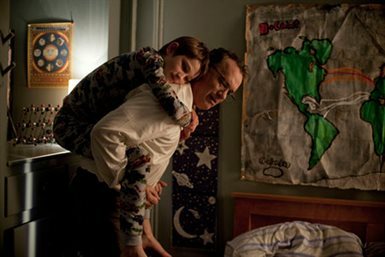 Download Extremely Loud And Incredibly Close in Digital HD from the iTunes store. Extremely Loud And Incredibly Close images are © Warner Bros.. All Rights Reserved. The touching film Extremely Loud and Incredibly Close delves into the mind of a young boy on a quest. It's not the quest that's important here, but the determination and desire to make peace with a loss so great it's nearly impossible. 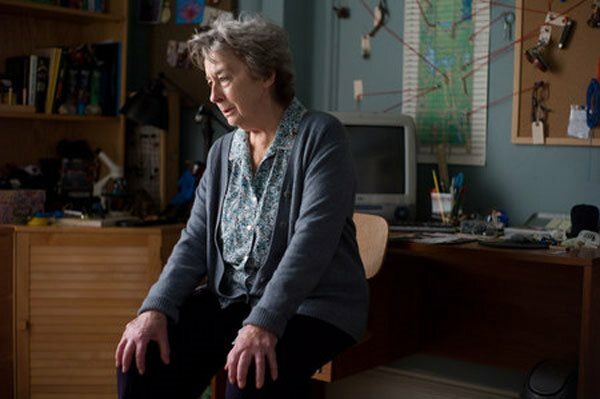 Director Stephen Daldry takes us on that journey as if we were the ones looking for answers. Oskar Schell (Thomas Horn) has lost his father (Tom Hanks) to the catastrophe of 9/11 and finds himself a lonely young boy without hope. One day while going through his mother's (Sandra Bullock) closet he accidentally knocks over a vase and finds an envelope with a key in it. Thinking that it must be a message from his father he goes on an adventure throughout the tri-boroughs of New York City trying to track down what the key opens. By the time he gets the clue that could give him the answer, he's already found something even greater. The whole film rests on the acting ability of newcomer Thomas Horn as the young determined lad who cannot come to grips with the loss of his father. Horn does an incredible job of bringing Oskar to life on the screen. His sad inquisitive eyes tell most of the story as he goes from one person to another in search for the meaning of the Key. In the sensitive capable hands of Director Stephen Daldry (The Reader, Billy Elliot) the young actor reveals the sweet personality, heartfelt loss and relentless drive of the character. Interestingly enough I was intrigued more with the back-story on Oskar's meeting with The Renter played by Max von Sydow. Handled nicely by von Sydow I found that an underlying secret that surfaces a nice touch to the storyline. It's a fine performance by von Sydow and without him saying a word. Although I liked the film a lot, there are downsides to the movie that distract and cast doubt. 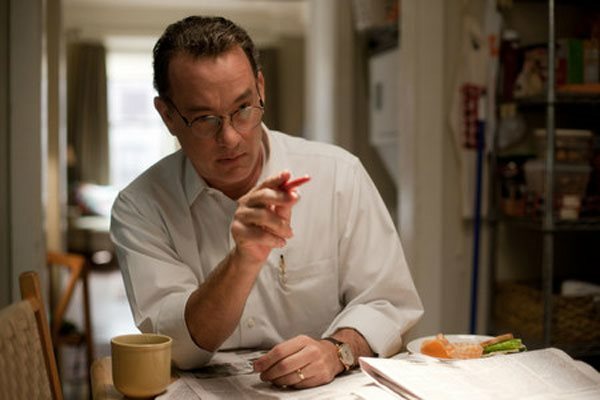 On the distraction I found both Bullock and Hanks performances maudlin and ineffective. As Linda Schell, Bullock seems almost absent in the film as Daldry doesn't give us enough character buildup to make her and even Hanks an important enough part of the story. It's this lack of relationship between the two that's distracting. The quick on and off the screen of the two stars bothered me since they are the impetus that Oskar finds himself on the quest. Also problematic is the doubt that Mrs. Schell would allow the boy to go from stranger to stranger looking for the answer to what the key may bring. With New York City being the venue in which the boy has to search, it had me wondering more and more about his safety. It's cute that Oskar makes himself a detective intruding on private lives, but I am not certain that those chosen as his subjects would really have opened up to him. Daldry moves his camera in and out of the streets of New York as if it were a wonderland giving the feeling that the 9/11 was a thing of the forgotten past with everyone back to normal and yet such a short time passage. His brief showing of the ‘Towers' catastrophe in the most heinous way didn't work for me either. 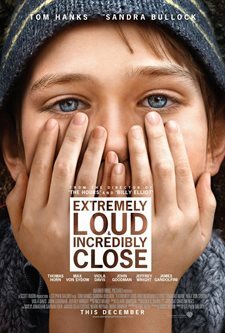 Extremely Loud and Incredibly Close has been rated PG-13 by the MPAA for emotional thematic material, some disturbing images, and language. Be cautioned when bringing the very young to see the film. Oh, and you may want to bring some tissues. 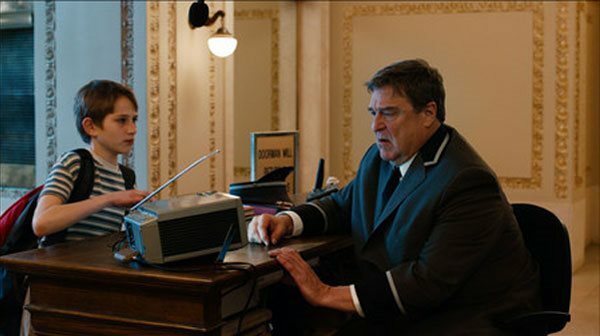 Extremely Loud And Incredibly Close images © Warner Bros.. All Rights Reserved.